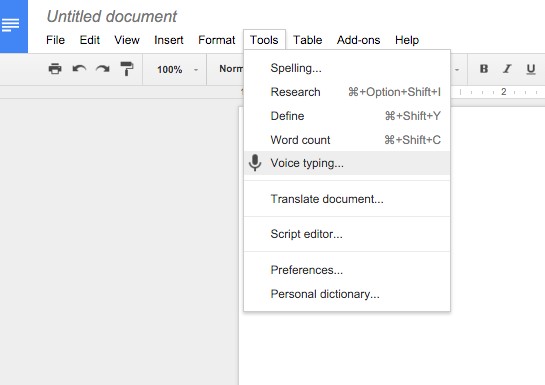 Open up a new Google Document. 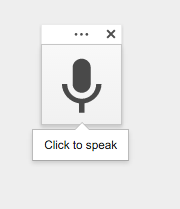 A box will pop up that looks like this, click on the box when you are ready to speak. 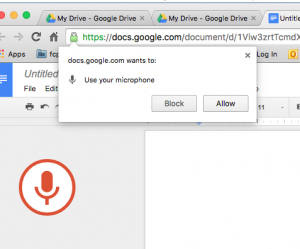 The first time you use this tool on each device, you will need to allow the microphone access to your computer. Once you allow access, you can begin speaking into your microphone. 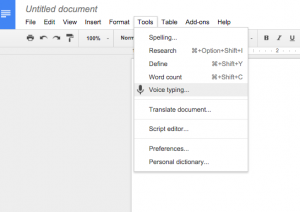 The words will begin typing into your Google document.